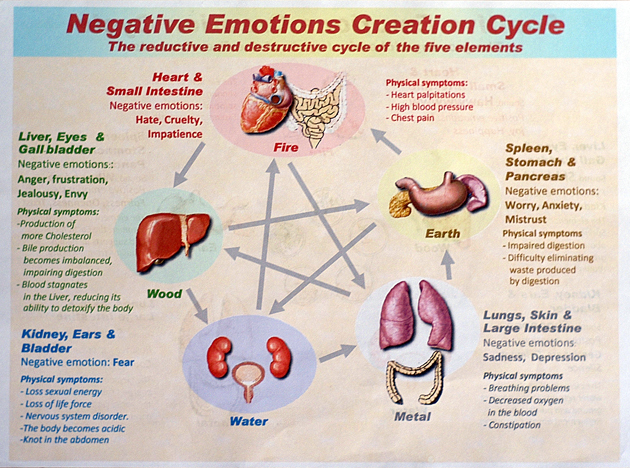 The emotions are considered the major internal causes of disease in Chinese medicine. 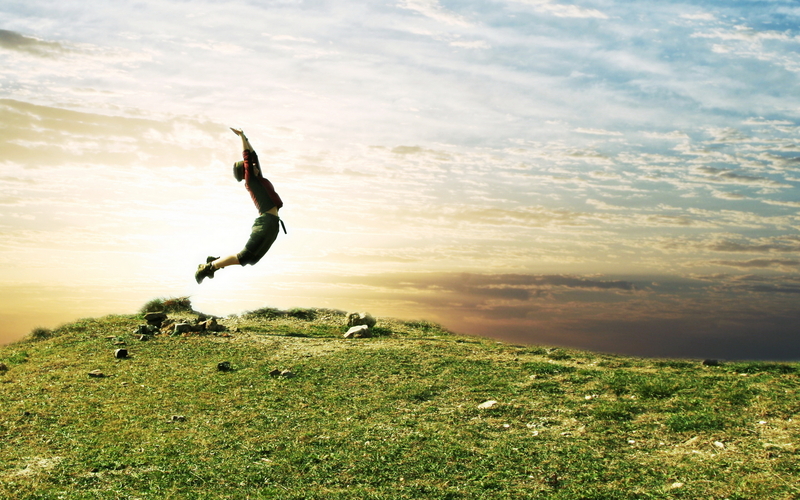 Emotional activity is seen as a normal, internal, physiological response to stimuli from the external environment. 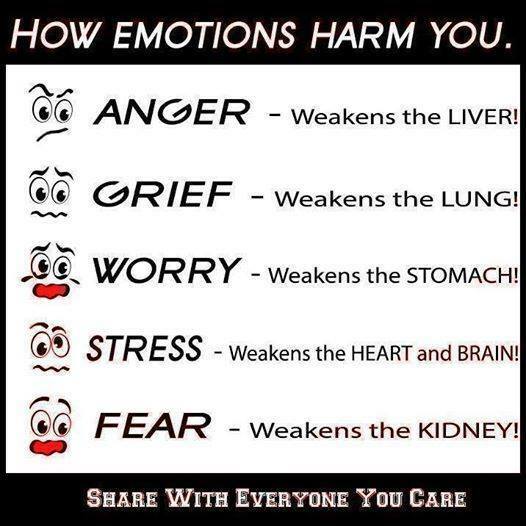 Within normal limits, emotions cause no disease or weakness to the body. 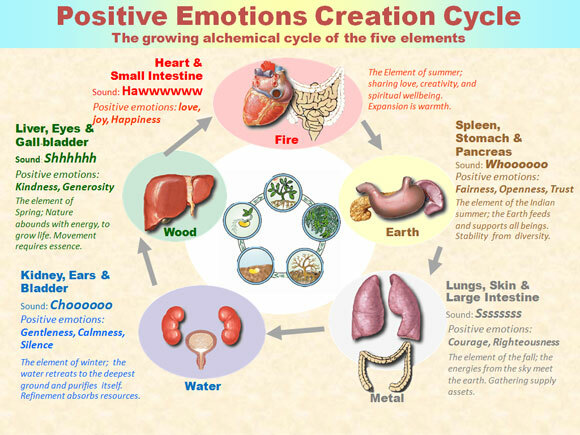 However, when emotions become so powerful that they become uncontrollable and overwhelm or possess a person, then they can cause serious injury to the internal organs and open the door to disease. It is not the intensity as much as the prolonged duration or an extreme emotion, which causes damage. 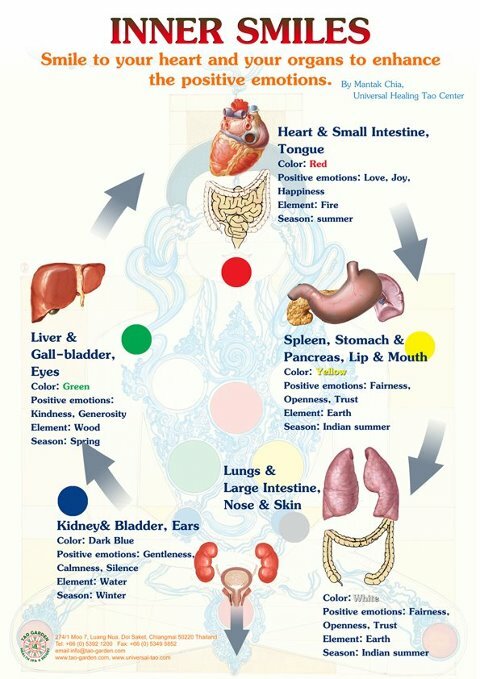 Excess emotional activity causes severe yin-yang energy imbalances, wild aberrations in the flow of blood, chi blockages in the meridians and impairment of vital organ functions. 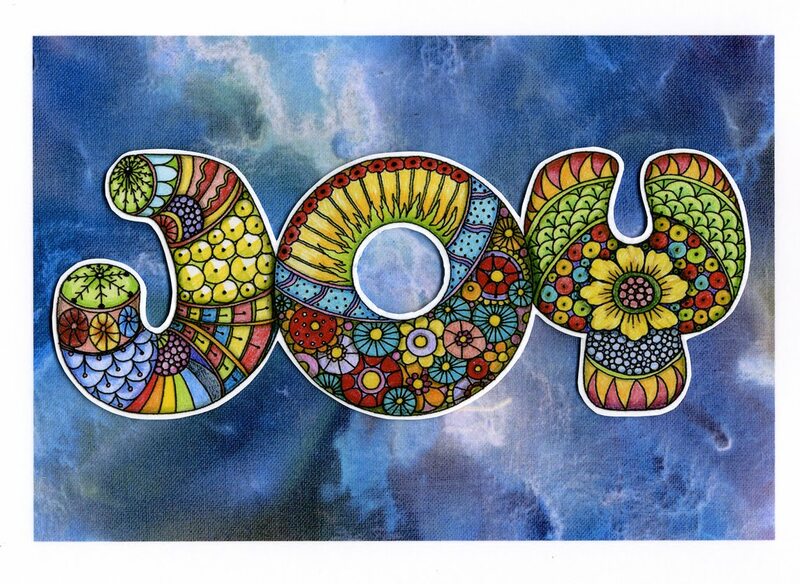 Joy refers to the states of agitation or over excitement, rather than the more passive notion of deep contentment. the organ most effected is the heart. Over stimulation can lead to problems of the heart fire connected with such symptoms as feelings of agitation, insomnia and palpitations. 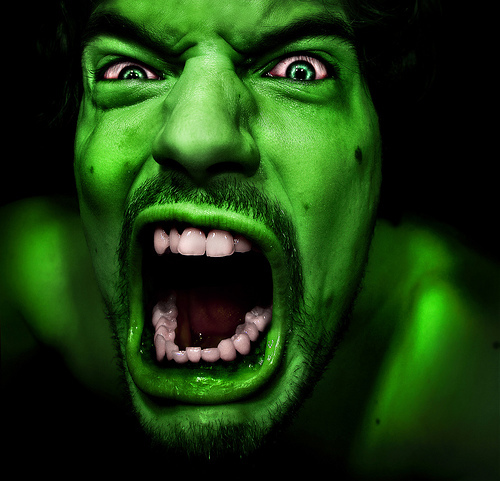 Anger effects the liver, resulting in stagnation of liver chi (vital energy). 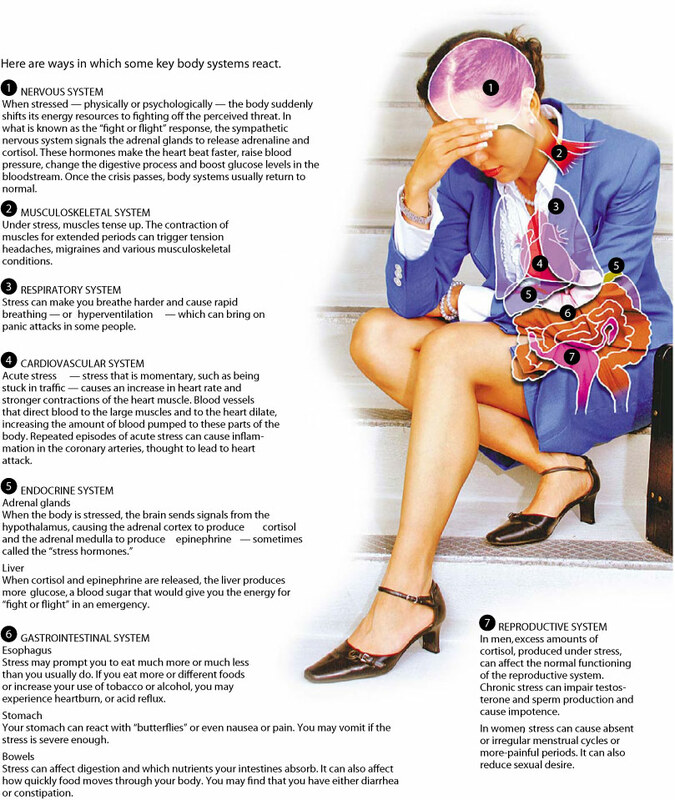 This can lead to liver energy rising to the head, resulting in headaches, dizziness and other symptoms. In the long run it can result in high blood pressure and can cause problems with the stomach and the spleen. Anxiety injures the lungs, which control chi energy through breathing. 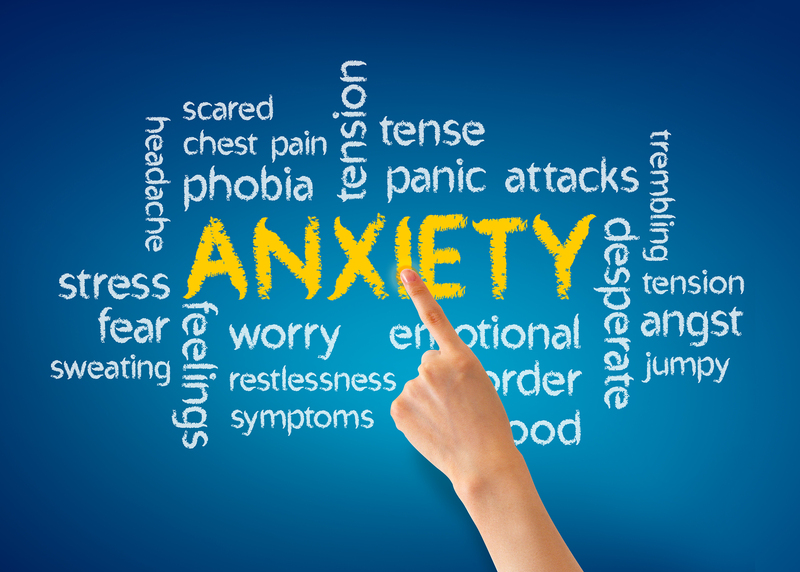 Common symptoms of extreme anxiety are retention of breath, shallow and irregular breathing. the shortage of breath experienced during periods of anxiety is common to everyone. Anxiety also injures the lung’s coupled organ which is the large intestine. Pensiveness or concentration is considered to be the result of thinking too much or excessive mental and intellectual stimulation. 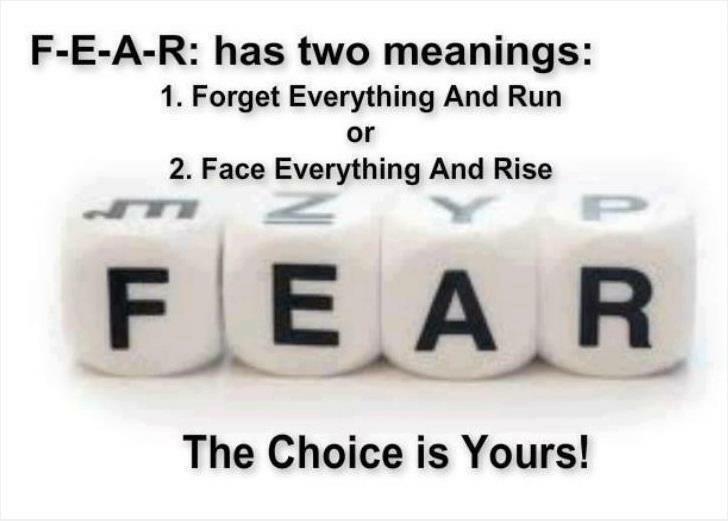 Any activity that involves a lot of mental effort will run the risk of causing disharmony. the organ most at risk is the spleen. This can lead to a deficiency of chi in the spleen, in turn causing worry and resulting in fatigue, lethargy and inability to concentrate. Grief mainly effects the lungs. 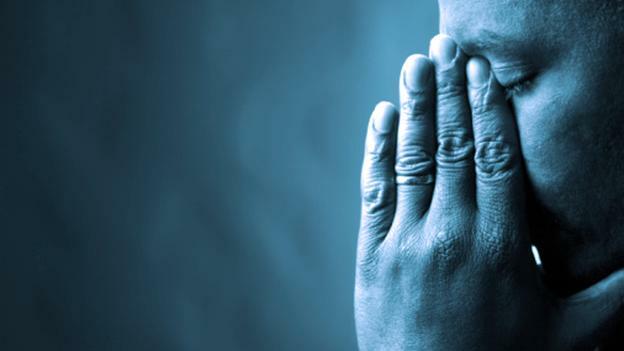 A normal and healthy expression of grief can be expressed as sobbing that originates in the depths of the lungs – deep breathes and the expulsion of air with the sob. 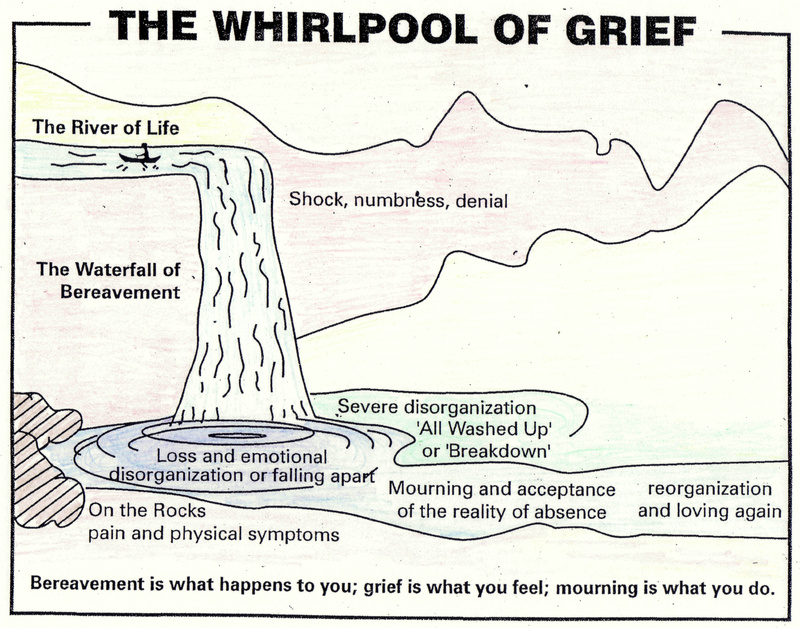 However, grief that remains unresolved and becomes chronic can create disharmony in the lungs, weakening the lung chi. 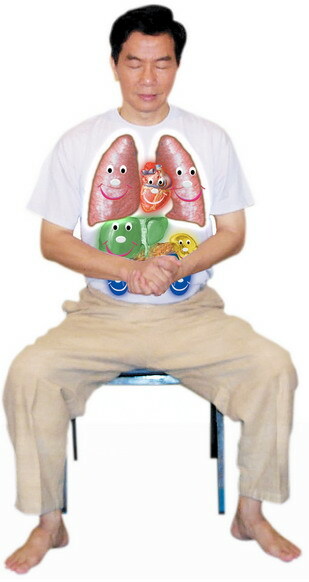 this in turn can interfere with the lung’s function of circulating chi around the body. 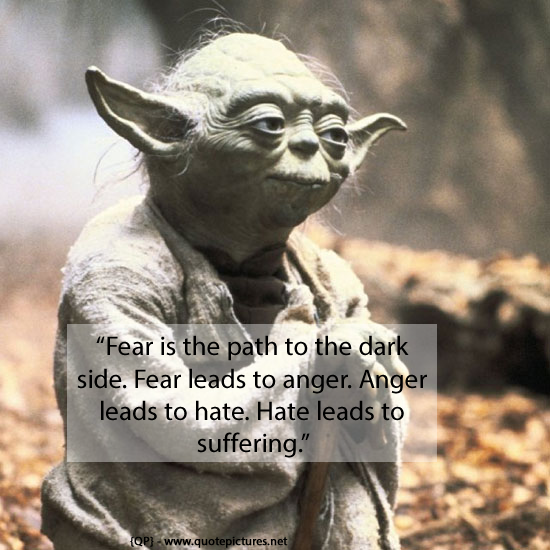 Fear is a normal and adaptive human emotion. 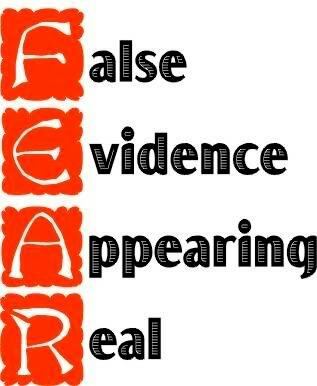 But when it becomes chronic and when the perceived cause of fear cannot be directly addressed, then this is likely to lead to disharmony. The organs most at risk are the kidneys. in cases of extreme fright, the kidney’s ability to hold chi may be impaired leading to involuntary urination. this can be a particular problem with children. 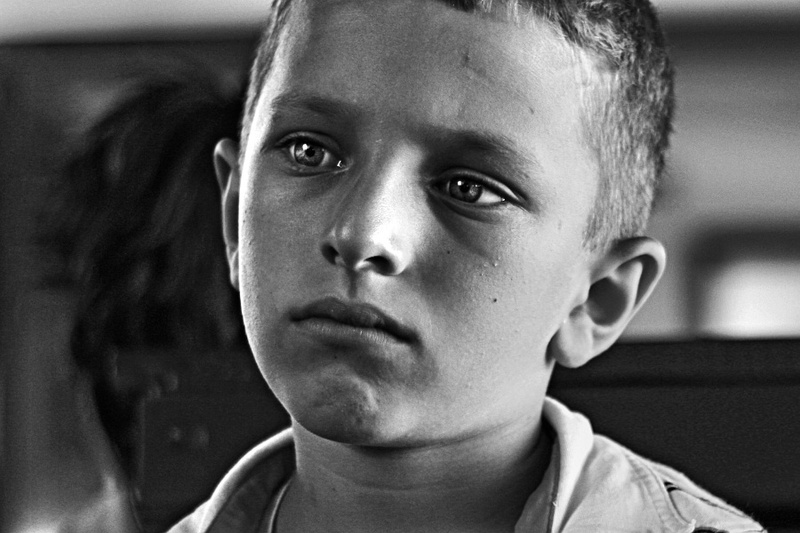 Fright is another emotion not specifically related to only one organ. It is distinguished from fear by it’s sudden, unexpected nature. 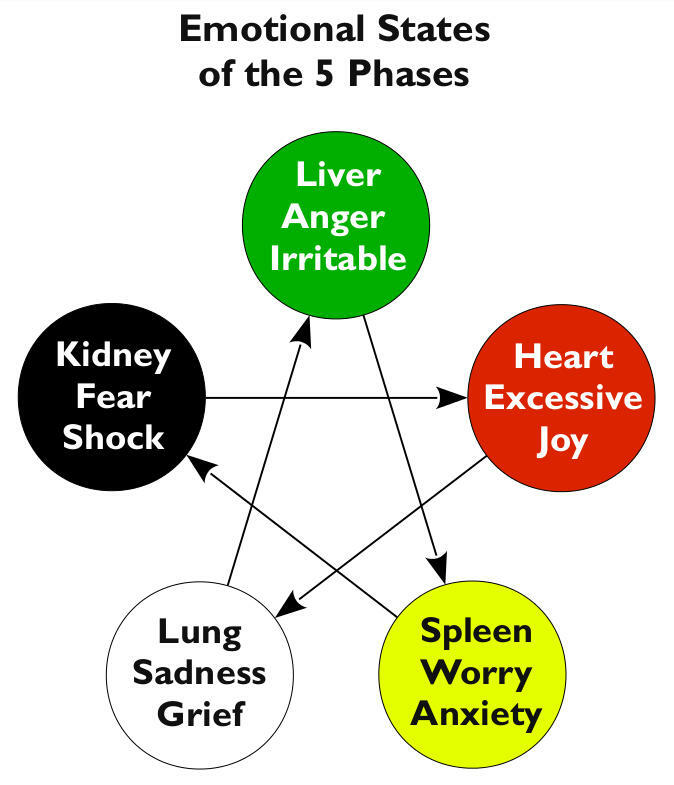 fright primarily affects the heart, especially in the initial stages, but if it persists for some time, it becomes conscious fear and moves to the kidneys. 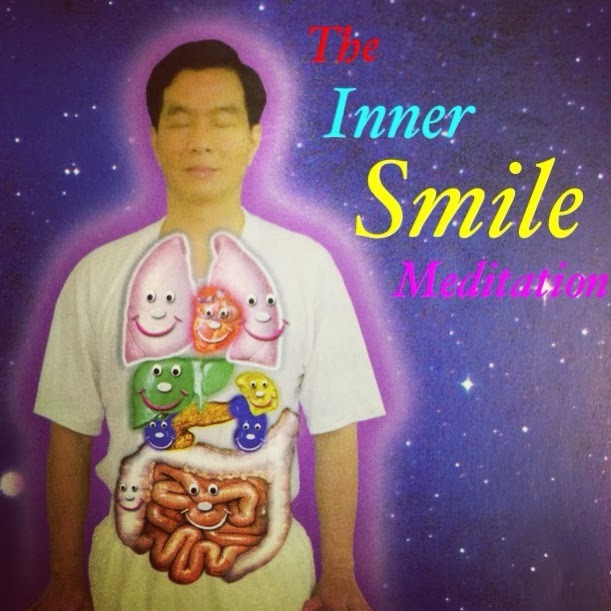 The inner smile is an all round organ charging meditation that can be practiced daily for optimum organ health. The Inner Smile is a practice that focuses gratitude and joy on the internal organs to resolve the physical and mental tensions that can lead to illness. 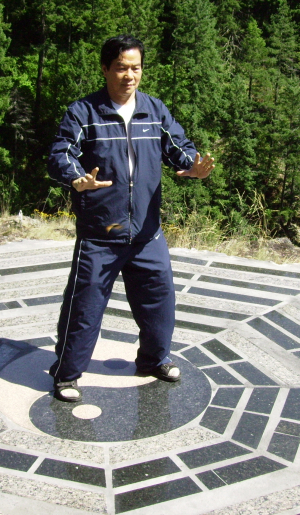 In Taoism negative emotions–anger, sadness, depression, fear, and worry–are seen as low-grade energy that causes chronic disease and steals our major life force by creating energy blockages. 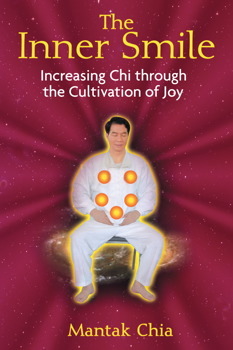 Master Mantak Chia shows that the internal awareness produced by the simple yet powerful Inner Smile meditation practice flushes the organs of poisonous negative energy that may be blocking chi energy flow in order to nourish the entire body. There is also a book by Mantak Chia on this subject.